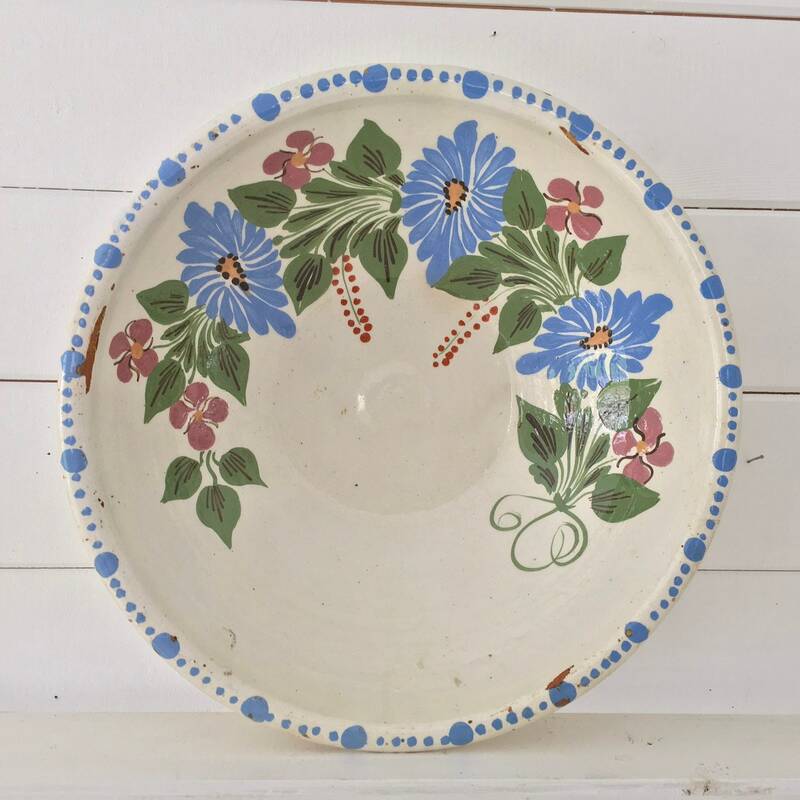 Vintage Hungarian dough bowl, this was made between 1930-1940s. 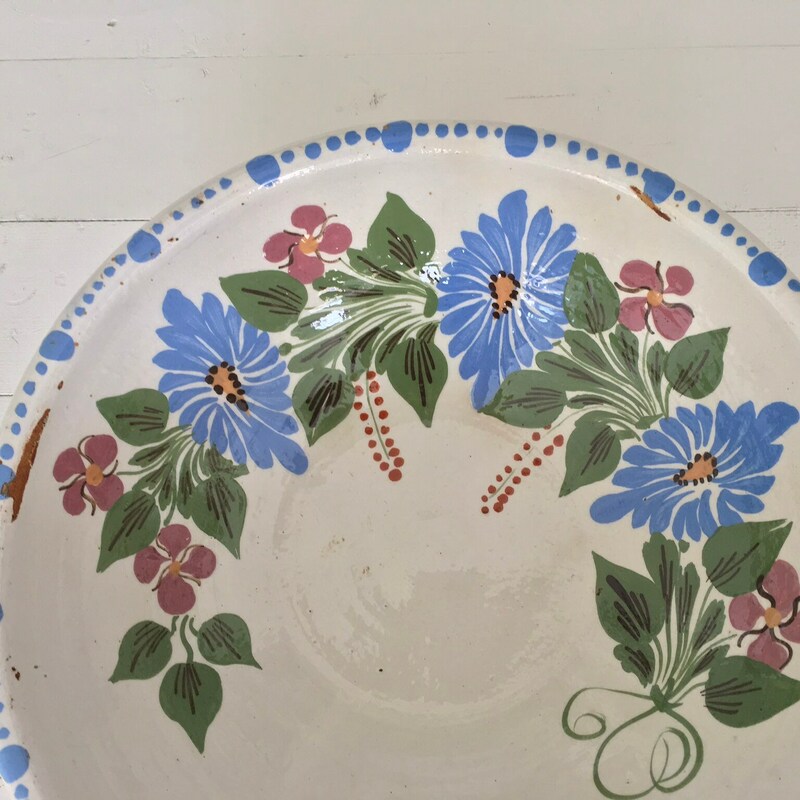 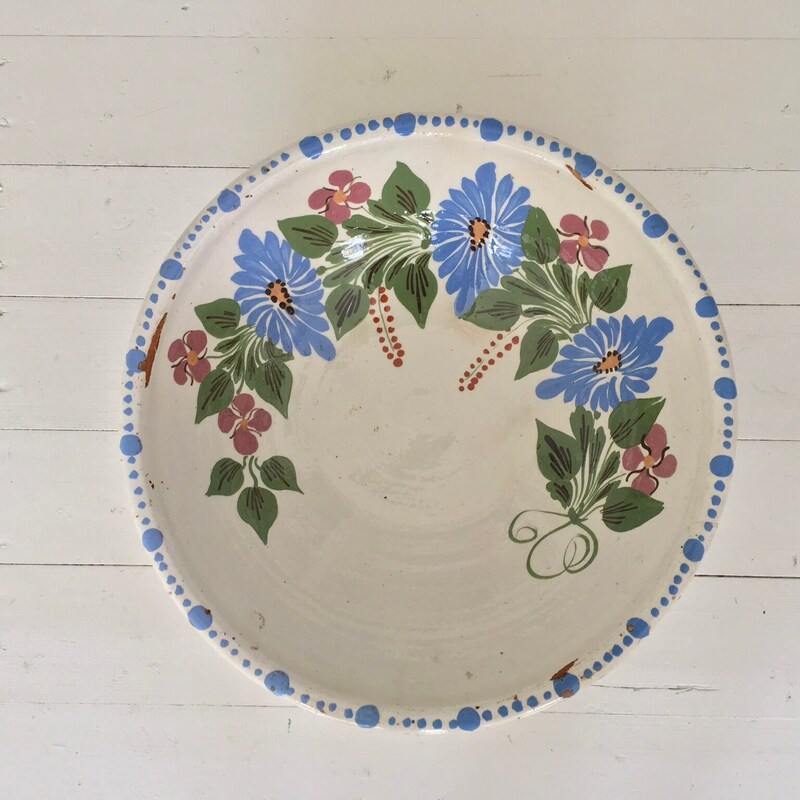 This gorgeous vintage ceramic has been hand painted with blue, pink and green design. 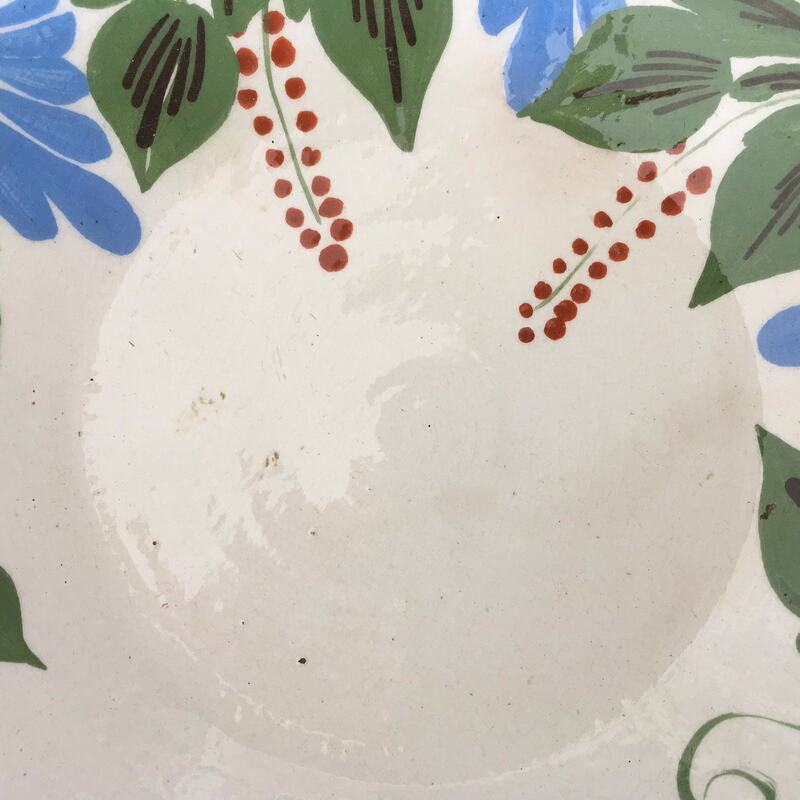 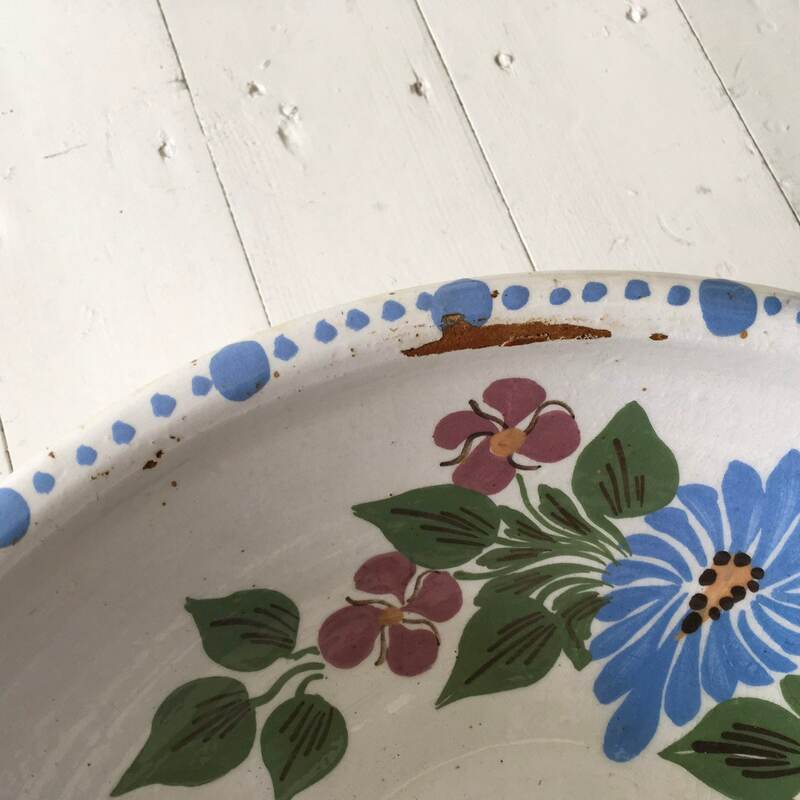 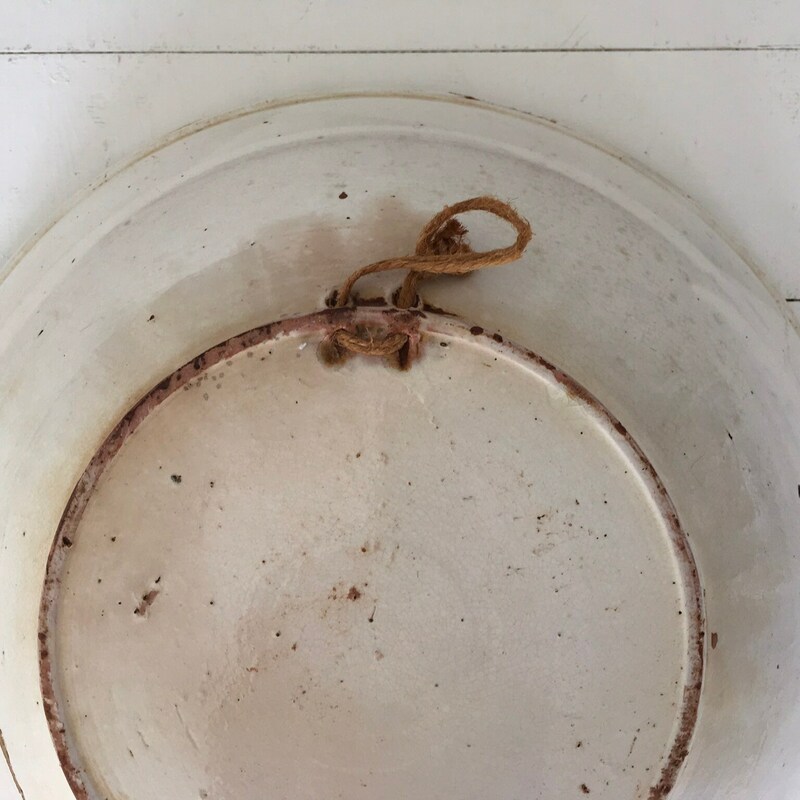 The antique bowl is made from terracotta has been glazed on the front and back and has some signs of wear and damage, this is the beauty of these old wall plates as it shows they have had a life before. 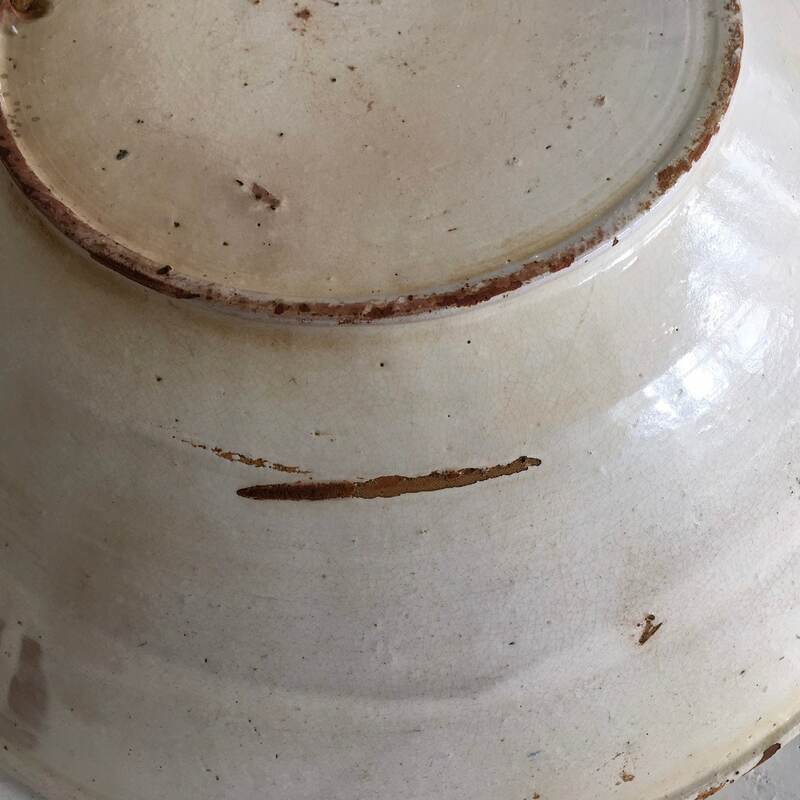 Please see photo for detail of ware. 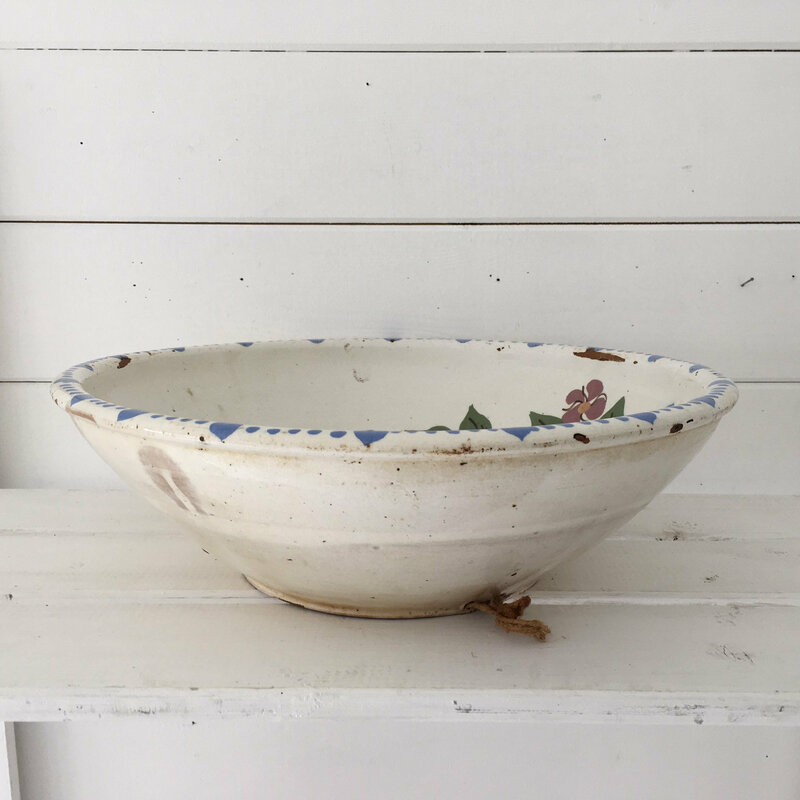 The dough bowl measures 34 cms diameter or 13.5 inches. 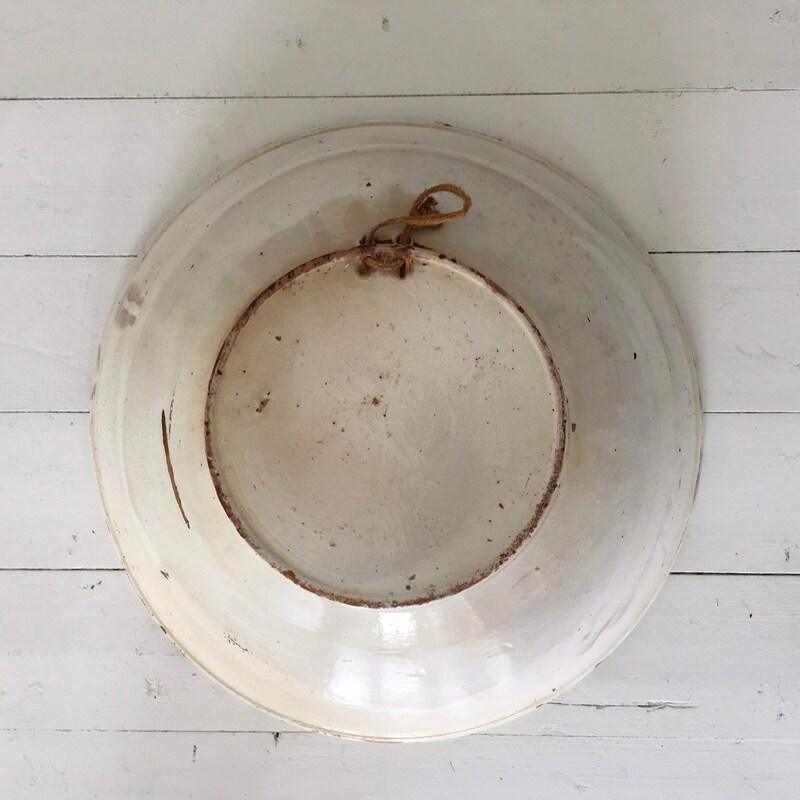 The bowl would look great in a plate collage on the wall or as kitchen display.